From subway tile to open shelving, these things have got to go. 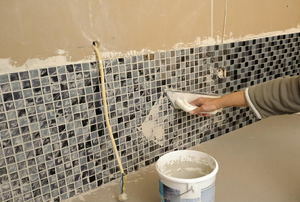 Grouting your tile backsplash is an easy process that makes a huge difference. 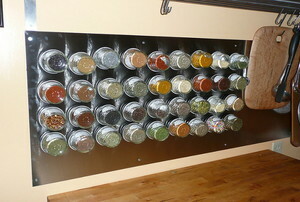 Organize your spices on the wall. 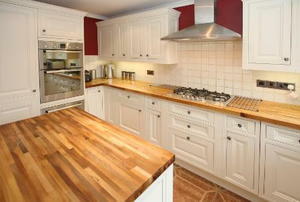 You don't need a lot of money to make over you kitchen. Check out a few of these easy tips to get started. 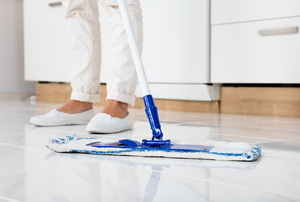 Use these hacks to make your kitchen floor shine like new. 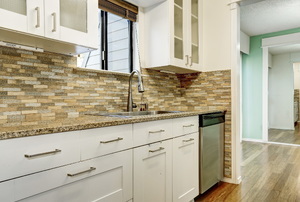 Give your kitchen a makeover by adding a backsplash. 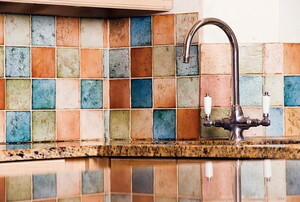 If you're in the mood to redecorate or renovate your kitchen, learn how you can easily get rid of an old ceramic backsplash. 7 steps to a new look for your kitchen. 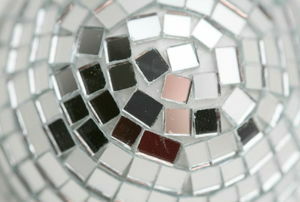 How do I cut mosaic glass tile? 7 steps to a refreshed look for your kitchen. Adding a kitchen faucet soap dispenser to your kitchen sink area will make washing your hands a breeze. You can make a bar stool adjustable by buying and installing an adjustable stand for your bar stool. The saddle bar stool has become an important piece of furniture not only in bars, but in homes as well. With time and wear and tear, the leather of a saddle seat bar stool can get damaged and need repair. 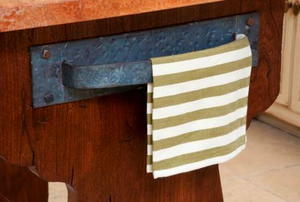 Due to the amount of use a padded bar stool gets, they can wear out over time and need to be reupholstered. Cleaning your upholstered bar stools regularly will contribute to their longevity and attractiveness. 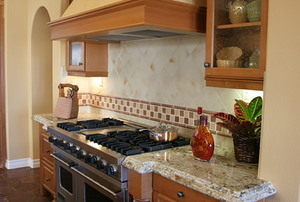 If you are designing your own kitchen, then you may be considering purchasing some custom appliance panels.